I’m a really regular person who loves playing music. I use a bass guitar as my preferred tool to create. I have 4 cats and an awesome wife. I also play in a band called The Faceless. I have another project called Climaxes that has yet to be released. I’m always looking for new, exciting, musical opportunities so please feel free to reach out! Evan Brewer (born September 23, 1981) is an American bass player from Nashville, Tennessee. 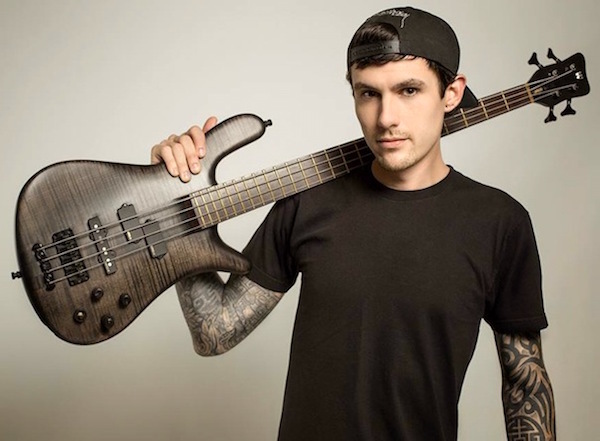 He is the bass player of Entheos, former bassist of technical death metal band The Faceless and has been involved in other bands such as Reflux and the last bassist to be a part of Animosity. He also released two solo albums under just his name. In 2011, he released his debut solo album titled Alone, and his second solo album, Your Itinerary, was released on July 16, 2013. He is a former member of Animosity and Reflux, which also featured guitarist Tosin Abasi and Ash Avildsen (CEO of Sumerian Records). He has a project called Climaxes with Barry Donegan of Look What I Did and Alex Rüdinger of The Faceless, which is currently in the writing process according to MTV.COM Metal File.They have currently only released two songs; “Clock In & Die” and “Meet Me There”. He has also filled in for A Life Once Lost and Terror on tour. In early 2011, he joined death metal band The Faceless after the departure of Brandon Giffin, who joined Cynic as a touring member. Brewer also has a solo project under his own name, for which he has currently released two albums (Alone and Your Itinerary). All the sounds on Alone were created using a bass guitar, hence the album’s title. Your Itinerary has more of a “full band type of feel”, with drums, keyboards and electronics. Navene Koperweis (formerly of Animals As Leaders and Animosity) assisted in the production process and created the final mix of the album, as well as providing drums on several tracks. He chose to leave The Faceless in October 2014 to pursue other musical interests,such as recording the Primal EP with technical death metal band Entheos. Brewer is a close friend of Regi Wooten and he states that being around the Wooten brothers and their musical community shaped him radically as a musician. He’s also a featured artist on the bass guitar instructional website Jamplay.com. Animosity, the album features only bass guitar sounds. The Artwork was made by the Colombian drummer and graphic designer Mauro Mazuera. 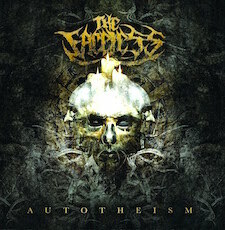 Autotheism is the third studio album by American technical death metal band The Faceless. It was released on August 14, 2012 through Sumerian Records. The album debuted at number 50 on the Billboard 200,number 3 on the Top Hard Rock Albums,number 13 on the Top Independent albums, number 18 on Top Rock albums, and hit number 1 on the CMJ radio loud rock chart. 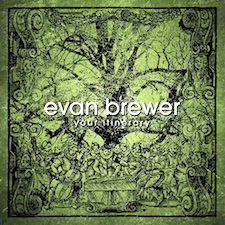 Your Itinerary is the second album by American bassist Evan Brewer. 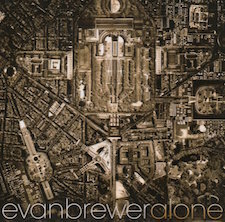 This is the first album by Evan Brewer to feature other instruments other than the bass guitar and the first album to feature other musicians than Evan Brewer. Sumerian Records uploaded a trailer for Your Itinerary via their YouTube Channel. Microscopic Scale was also released on June 19, 2013.